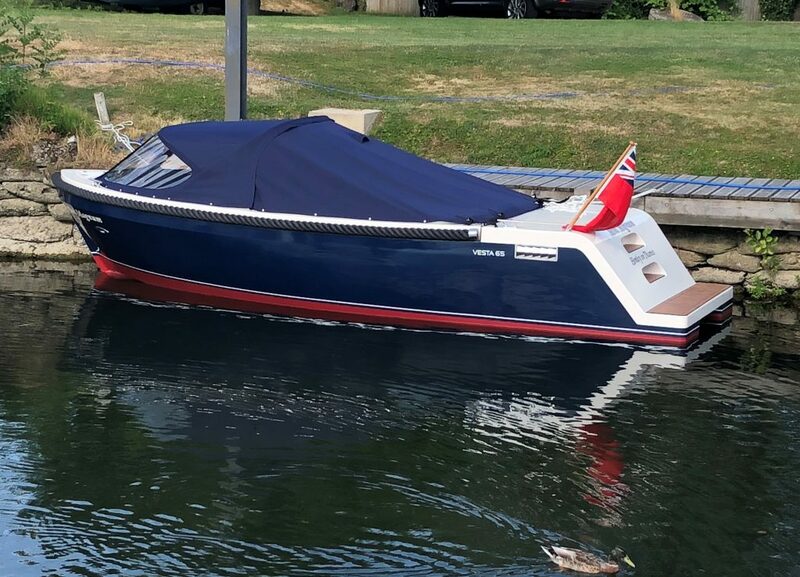 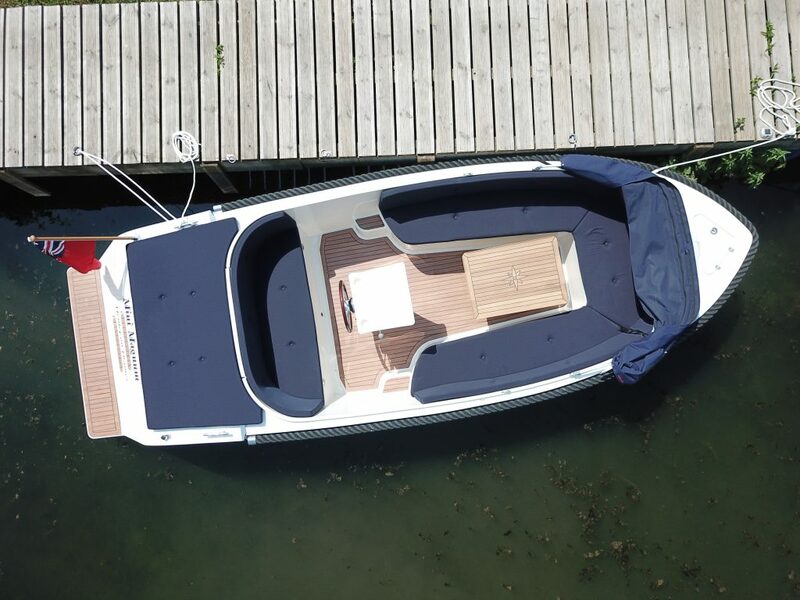 This versatile day boat combines a sleek exterior, a stern that incorporates a sundeck and a spacious interior. 20hp Honda electric start outboard concealed in engine bay (up to 50hp possible), cushion set including sundecks, hood and tonneau cover, teak floor platform and steps, rope fendering, 5 storage lockers including a Dometic 972 chemical toilet in bow locker, stainless steel and mahogany steering wheel, stainless steel teleflex control, navigation lights, horn, ropes, battery, outboard lock, launching and full tank of petrol. 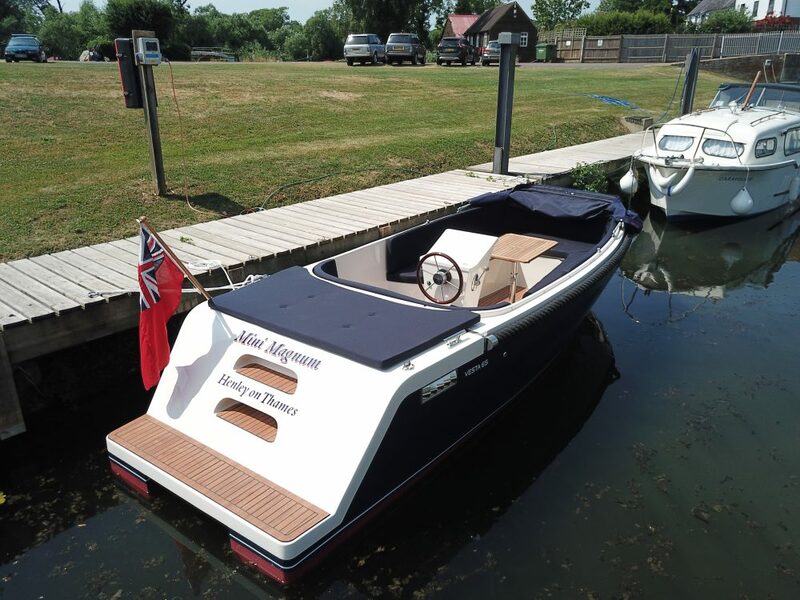 We can usually complete your boat within 6 weeks to your specification and colour. 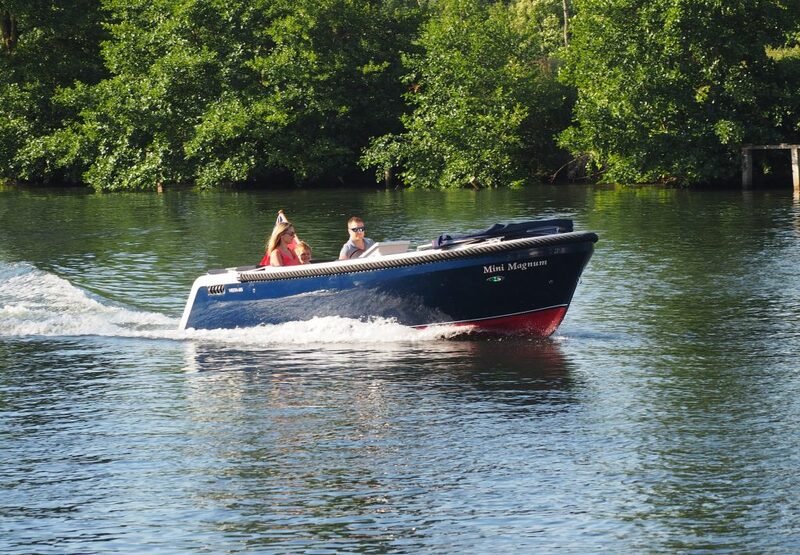 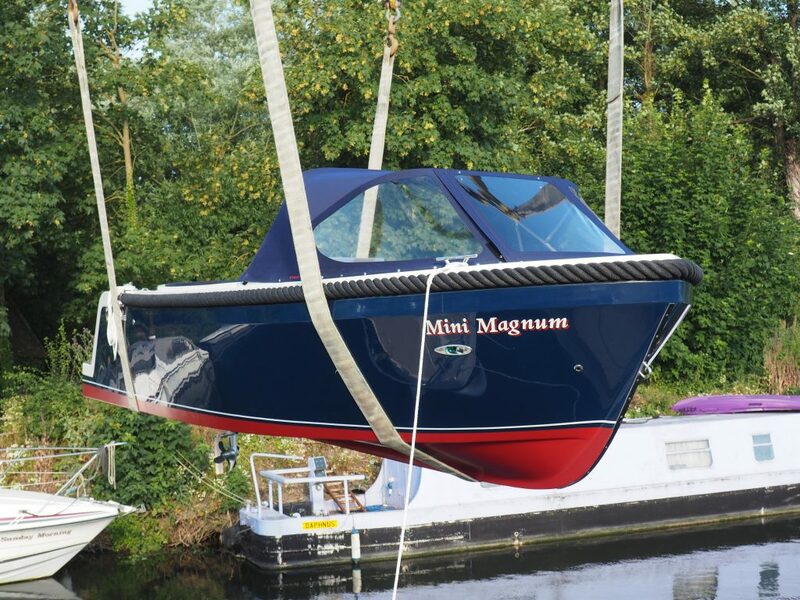 If not already sold, we do have boats in stock, please enquire for details.